Get an access to our secret three-step process that our clients introduce into their practices, before our work begins. You will get access to our secret three steps we implement to every single client’s practice before we even start work. Quickly take their practice into next level. Don't spend money on advertising without implementing these steps. You have a great business and you’ve retained a caring and personable staff. Your office is running smoothly and you offer a service to your community that you are proud of. Your clients are satisfied with their experience at your clinic. You want to grow your client base. But how? 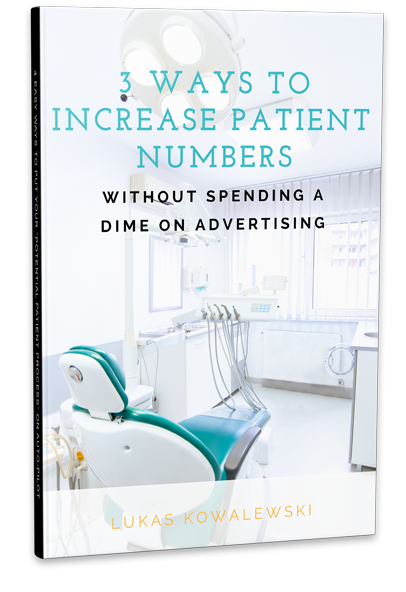 Increasing your patient numbers can be time consuming and difficult. However, the following tips can save you precious time and energy, and make the process of growing your business easier. Best of all, you can start the ball rolling without having to spend a dime on advertising!